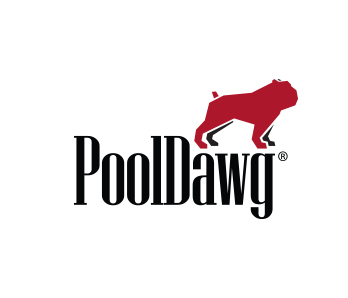 PoolDawg Black Sticker Patch - Easy peal and stick Patches for your case or pool shirt! What is better than stickers?! NOTHING - except maybe stickers that are patches! We know you support PoolDawg and love the Dawg Gear we have, but now you can complete your collection with this black and white patch style sticker. With two easy to remove backing strips, this patch sticker will stick to just about any surface - and stick well. We think they look sick on pool cue cases, but we have seen them on team jersey's which look cool too. Either way you look at it, it is another way to show your support for PoolDawg.